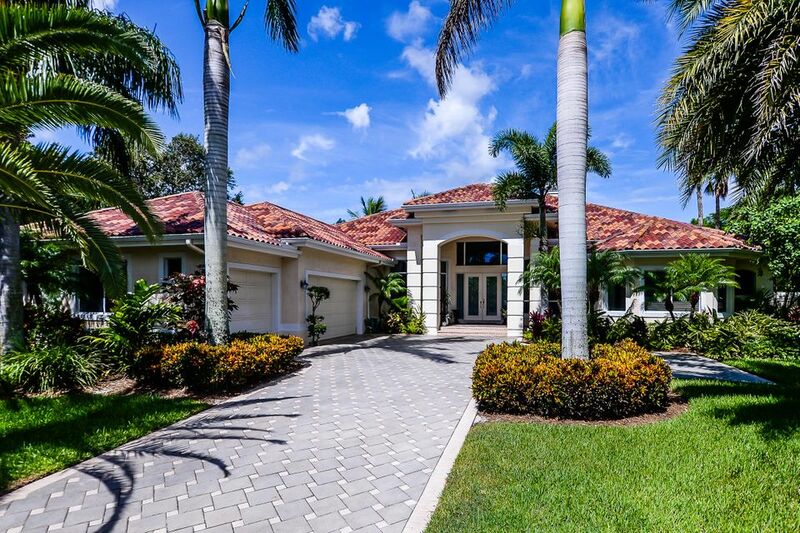 18178 SE Old Trail E Drive is a large Ranch Colony home, located in Jupiter with golf course views. This home features 3 bedrooms and 4 and a half bathrooms with 18 foot ceilings. The great room with stunning views of the pool, golf course, and lake is excellent for entertaining guest. This great room is also fitted with a large limestone fireplace and a large wet bar with bar seating. The elegant kitchen is fitted with top of the line appliances, granite counter tops, a center island, bar seating, and a butler's pantry. Enjoy not only the pool in the back yard but the custom garden that provides shade and a quiet place, great for yoga or reading a book. This home will not disappoint so book your viewing appointment with a Better Homes and Gardens agent today.